In the wake of the horrific weather crises in Australia over the summer, make sure your insurance policies are up-to-date and cover you for the relevant weather conditions. The Australian summer has long been associated with bushfire risk and it’s more and more becoming synonymous with flooding. No matter what the natural disaster, individuals have been devastated by the loss of homes and contents and in turn, left with a massive clean-up bill. This is where your insurance needs to help. 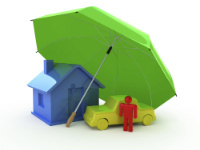 It’s important to read through your insurance policies to determine whether you are covered for natural disasters. Some will provide opt-out clauses, which means you’re automatically covered unless you specifically tell them otherwise. Other policies don’t provide automatic cover at all for flood or bushfires. You need to explicitly request to be covered and then pay for the extra coverage or take out separate cover altogether. If you’re in an area at risk of natural disasters, such as floods or bushfires and you’re not sure whether your insurance covers you, read your insurance policy carefully to see what, if anything, is covered. If you’re unsure, ring your policy provider. There are plenty of people on hand to explain your policy and how you’re protected. According to the Insurance Law website, there are certain things to look for in your policy when determining whether you’re covered for natural disasters, such as bushfires and floods. Firstly, look for any time delay clause. Secondly, check to see whether the policy covers non-flame damage such as scorching or melting. Thirdly, some policies will limit cover if the policy provider believes that you have failed to take adequate precautions to prevent damage or loss. Check your policy for wording to see if flood is excluded. Being covered for floods may be included as an opt-in or opt-out clause. If it’s automatically included, check to see how your insurer defines ‘flood’. There will be different types of water damage as well including stormwater, rainwater and floodwater. Definitions change according to the insurance policy. What is defined as ‘flood’ according to one insurance company may not be relevant to another. It’s important to ensure that you have the right information when it comes to claiming for any damage. Prepare an inventory of contents, especially the major ones such as artwork and collectables. Also, make sure you have a list of sentimental items that are money-can’t-buy objects. It’s a good idea to take photos of these things. Go through your home systematically and evaluate all of your assets. Then, speak to your insurer. They will be able to help calculate the value of any assets and assist you with obtaining the right level of cover. It’s also a good idea to talk to a builder if you’re concerned about the loss of your entire home. This is imperative for those in bushfire and flood-affected areas. A builder can give you an estimate of how much your home would cost to completely rebuild. You can then discuss this with the insurer to make sure your overall sum covers the cost. Remember, there are plenty of providers just waiting to insure you which means you can shop around to make sure you find the right policy for your circumstances. No matter which provider you go to for your insurance, make sure you discuss any concerns with them from the outset. That way, you can feel comfortable that you’re covered if disaster strikes. Were you affected by the recent natural disasters around Australia? Share your stories on our Facebook page.